There are three reasons why the AAP shall succeed in holding off a BJP government in Delhi. First, the debilitated state of the Delhi BJP unit for which the malfunctioning mike at PM Modi’s election rally on January 10, 2014 was an apt metaphor. PM Modi or his alter ego Amit Shah have not had the mind space to redress what ails it: intra-fighting, lackluster leadership and just sheer inefficiency. These short-comings do not go unnoticed by the demanding and discerning BJP supporters in Delhi. They showed how lukewarm they were during PM Modi’s recent 10th January election rally in sharp contrast to the upbeat mood, way back in March 2014, when Modi first rode into Delhi as the BJPs PM candidate. In contrast Kejriwal and his team are a chastened lot- apologetic about their earlier blunders; better honed for politics; eager to please and reach out to Delhi voters with a campaign strategy of individualized and personal interaction and long term relationship building which appeals instantly. With the Congress in retreat and tacitly backing AAP-their ideological ally- an AAP surge is certain. Second, the aggressive Hindutva campaign and the indiscipline of the saffron clad BJP ranks, who frankly sound like they belong in the 18th century, with their calls for increasing the production of Hindu babies; a return to the “traditional” subservient role of women in Hindu families and the obsession with religion. 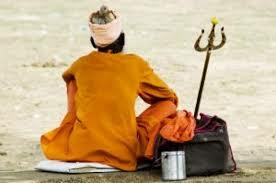 India is a religious country and most Indians believe in God and practice a faith. But we do not want to impose our faith on others. Nor do we want others to impose theirs on us. Mutual respect with complete freedom of choice for believers is the Indian social mantra of long standing. All faiths proselytize. But it does not have to be done in a grandstanding and confrontationist manner designed to make headline news. True and efficient Missionaries do not try and get brownie points by advertising what they do. Departing from the development script immediately risks losing the minority- read Muslim 12% and Christian 1%- vote entirely and alienating intellectuals, secularists and educated, aspirational women and a large segment of the upwardly mobile youth. This is the “self-goal” that the saffron clad leaders of the BJP have scored. Some also read into this irrational indiscipline of the saffron clad crowd, the invisible hand of the wise men in Nagpur- the RSS. PM Modi is very much his own man and not the typical RSS acolyte who will allow fuzzy theology to trump real achievements or threaten medium-term National objectives. His agenda is clearly development and this is what got him votes in the 2014 national agenda. He has gone from strength to strength and in the space of a mere one year, has become the sole voice of the BJP/RSS. Nagpur could not have liked that. More importantly, those, over whose heads PM Modi elevated himself, have an axe to grind and an incentive to undermine him. Ensuring the BJP loses the Delhi poll aligns with this perverse objective. Third, the BJP has not reduced its image handicap of being perceived as the party of the rich. The erstwhile refuge of the poor-the Congress- has slipped into oblivion and that mantle has squarely been grabbed by Kejriwal. But it is not just a matter of perception. The poor-the foot path vendor, small shop keepers, “auto” drivers, retired folk and Dalits (25% population) remember with nostalgia, the short reign of Kejriwal when he cracked down on the widespread petty corruption at the public interface level. In contrast the over 200 days of indirect governance by the BJP Union Government has seen an upsurge in petty corruption and disregard for the poor and the powerless in the Police, the Public Service Departments and the Municipal Corporation. How big a blow will it be for the BJP to lose Delhi? Far from bemoaning this outcome the BJP should want to lose this election. There are three reasons for this contrarian view. First, AAP is likely, at the very least, to be the main and significant opposition. The BJP will be hard put to keep up with the forensic oversight the AAP would unleash on the functioning of a BJP government in Delhi unless the Delhi unit is completely revamped. There is little chance of this happening since too much political capital needs to be invested for this with meagre political returns. This helplessness is best demonstrated by the inability of the BJP to reform the three Municipal Corporations it controls in Delhi. Hence the BJP has very little upside to lose in Delhi. Second, an AAP government is likely to have the very same limitations it had when it last came to power; an uncooperative National Government controlling both the Police and Urban Development. Delhi is thirsting for more water but with a BJP government in Haryana (the source of additional supply) and a BJP National Government, an AAP government in Delhi will get no help in getting additional supplies. This indicates an AAP government is likely to underperform versus people’s expectations. So best to give them a long rope with which to hang themselves conclusively. Third, PM Modi’s “A” team (Arun Jaitley-FM and Rajnath Singh-Home Minister) is getting awfully stretched. Big political battles are around the corner; Bihar end 2015 and UP a year later. There is also the job of getting on with routine governance; the nuts and bolts of managing the pipes that deliver public interest outcomes like investment; growth and jobs. Managing Delhi is a distraction the BJP could do without. Of course the BJP does not have it in its DNA to take the low profile, strategic, sustainable path. Their forte is the “shock and awe” tactic. The focus is very much on glossy, big ticket items: grand new schemes and projects; a “strong Rupee; soaring stock markets; clever IT apps; outstanding oratory and a one-headline-a-day frenetic outreach schedule. Time for the BJP to do a huddle and think its Delhi election strategy through. Having recently won the war (National Elections), losing a skirmish (Delhi) is ok if it results in winning the battle (Bihar & UP) to follow.